Pros This is a true cloud frame. On almost every indexes, this model surpasses all other brand and models, The 1280×800 IPS screen is best. Multi-function/multi-format, download app from Apple and Google. The most unbelievable is its low price. This is another true cloud frame with 10GB free cloud storage. The 1024×768 screen resolution and 8GB internal memory are on an average level. Strong marketing is Nixplay’s biggest advantage. This is an old design with solid mechanical parts and traditional user’s interface. It is obvious it is not an android machine, it is a single-chip operating system. Its unpretentious appearance is its biggest selling point. Aluratek is an old brand in DPF industry. This is its first and only Wifi DPF. Aluratek is honest not to say this is a cloud DPF. The user’s interface is joyful. The screen resolution is the same as Nixplay’s, but, IPS brings you more clear and bright. This should be a newcomer. The 16GB internal memory is its bright point. I have to appoint out this is not a cloud frame although it claims on Amazon as many other newcomers did without any respects to the technology. Cons This is a multi-functional Cloud Frame, maybe too many functions have impeded it is to be propagandized its photo frame function. This is a devaluated product. No-touch-screen is its hard shortage, it impeded interact with the frame. Photo-only is a typical feature of low-end DPF. Without external memory ports, how can users read the photos on their SD card and Thumb USB? Although it claims it is a Wi-Fi Cloud DPF, it is a Wi-Fi DPF without any cloud features. See its screen resolution 800×600, it is too old. The photo resolution should not be a selection as a high-end model. 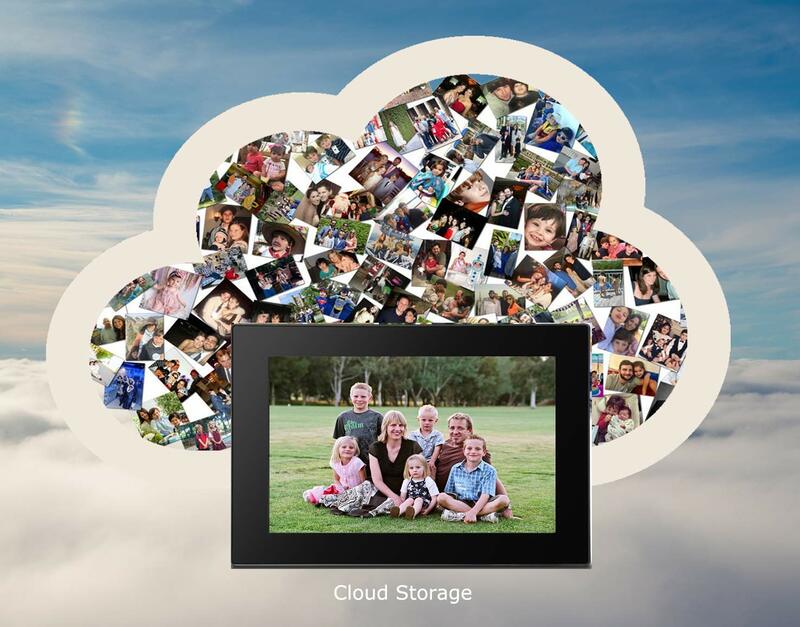 No Cloud Feature means user cannot store photos in cloud storage, cannot extend storage endlessly. Once when the internal memory is full, the Wi-Fi feature will be impacted. Poor product description, poor images. Careful customers will find all the new comers are using a same Wi-Fi solution, they are using the same PCBA, they should not claim it is a cloud frame, they are cheating.